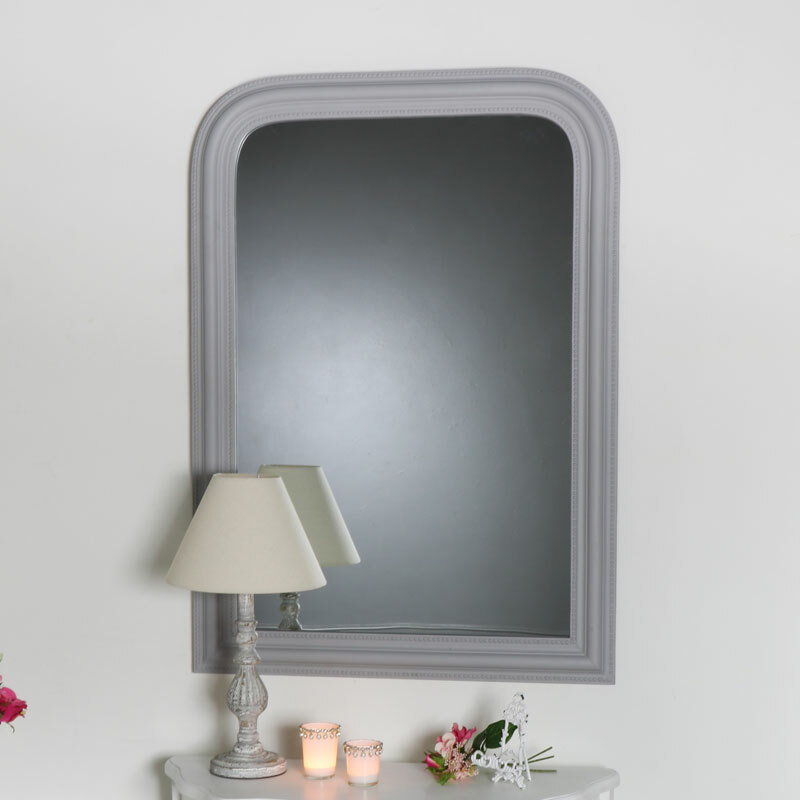 This Beaded Grey Arched Mantel Wall Mirror would look beautiful in a vintage, shabby chic, rustic or modern home. Perfect home decor for above a fireplace, bathroom vanity, dressing table or hall console table. Perfect for sitting above a dressing table, mantelpiece or a hall console table. 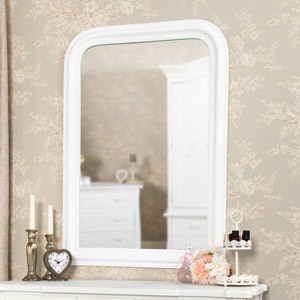 The mirror has a curved top and a simple but noticeable double beaded edge. 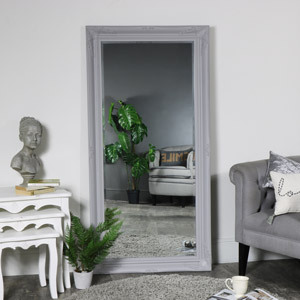 This mirror has a personality that will match any interior, from contemporary to shabby chic and even a French Parisian apartment, let this mirror complement your interior and add that finishing touch. 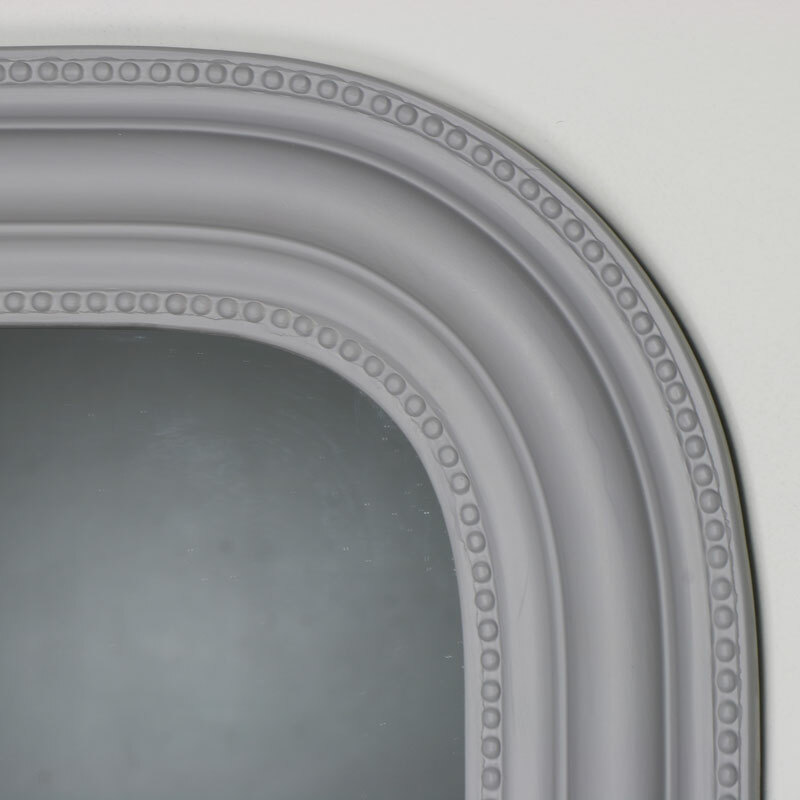 This Beaded Grey Arched Mantel Wall Mirror would look beautiful in a vintage, shabby chic, rustic or modern home. Perfect home decor for above a fireplace, bathroom vanity, dressing table or hall console table. Perfect for sitting above a dressing table, mantelpiece or a hall console table. The mirror has a curved top and a simple but noticeable double beaded edge. This mirror has a personality that will match any interior, from contemporary to shabby chic and even a French Parisian apartment, let this mirror complement your interior and add that finishing touch. Complete with two hooks attached to the rear making it simple and easy to hand this beautiful, elegant mirror onto your chosen wall. Whether your looking for a more rustic mirror or one that’s beautifully ornate then be sure to look at all our mirrors available.